Climate Research Assessment And Recommendations In The “Report Of The 2004-2009 Research Review Of The Koninklijk Nederlands Meteorologisch Instituut” | Climate Science: Roger Pielke Sr. I have contacted KNMI to determine if the report is publicly available, and they have confirmed that it is [a full copy of the report can be obtained from them]. In this post, I am reproducing the part of the report on the climate issue. I was (and am) very impressed by the scientific integrity and quality of this organization. 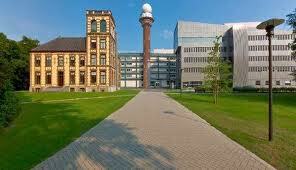 The aim of KNMI’s research is to support KNMI’s mission. Information and observation technology: to develop projects in the fields of information and sensor technology. • The KNMI management is advised to provide long-term support for its world renowned space-based observations like OMI, including the appropriate base budget. • An additional effort jointly between the Climate Observations and Chemistry and Climate Divisions should be made to analyze and interpret the observational data from space-based systems. • The EC-Earth model should be used extensively to investigate the role of potentially important processes and to provide information needed to assess the vulnerability of ecosystems and human societies to climate including a range of possible changes in the climate system. • Developing a chemistry module in the EC-Earth model is recommended. • The CESAR observatory, being a world class facility, should be supported with the appropriate budgets and human resources. • In the longer term, a strategy should be developed towards a common modeling framework for regional and global studies as well as for climate, weather and air quality studies. • The Climate Services Division activities in bridging research and stakeholder needs should be further expanded but, due to the large demand, priority decisions are needed regarding the sectors and topics to be addressed. • The generation of climate scenarios for plausible future risk needs to be significantly broadened beyond those generated by climate model projections. Contextual vulnerability should also be assessed from a bottom-up, resource-based perspective in order to assess risks from climate relative to risks from other environmental and social issues. The Review Committee is impressed by the quality of the research conducted by the climate research group. The different divisions (Climate Observations, Global Climate, Regional Climate, Chemistry and Climate, Climate Services) have provided major accomplishments and the staff should be congratulated for their commitment and achievements. The Climate Observations Division has developed a strong activity in the observation of chemical compounds from space-based systems. The OMI experiment is world-class and provides unique data on the NO2 column at the global scale. These observations help understand how industrial pollution affects the chemical composition of the atmosphere and the climate system. The treatment of data requires a sustained effort: It is recommended that the KNMI management will provide long-term support for space observations together with the appropriate base budget. It is also recommended that an additional effort jointly with the Chemistry and Climate Division be made to analyze and interpret these observational data. Links with environmental agencies that emphasize air quality and human health issues are recommended. The recently established EC-Earth initiative lead by the Global Climate Division of KNMI is already successful. This new tool, based on the ECMWF modeling system, offers the possibility for KNMI to play an important role in global climate modeling and to develop a partnership with other research centers inEurope. It also provides the opportunity to integrate different aspects of earth system science into a single modeling framework and to assess the importance of complex feedbacks between the atmosphere, land and the ocean. Issues related to biophysical processes, biogeochemical cycles, atmospheric chemistry, cryospheric processes, and their relation to climate change could be addressed by such model. It is suggested that the model be used extensively to investigate the role of potentially important processes and to provide information needed to assess the vulnerability of ecosystems and human societies to possible changes in the climate system. It is also important to assess the response of the climate system at the regional scale and specifically in the Netherlands. Recent studies have shown, for example, the influence of the sea surface temperature of the North Sea on the precipitation in coastal areas of the Netherlands, a phenomenon that cannot be represented in coarse resolution models. The use of observations provided at the Cabauw experimental site is essential to evaluate models and improve parameterizations, specifically energy, momentum and water exchanges in the boundary layer. It is therefore important to further support this site with the appropriate budgets and human resources. Finally, in the longer term, a strategy will have to be developed towards a common modeling framework for regional and global studies as well as for climate and weather studies. The Chemistry and Climate Division has led the development of the TM-5 model, which is extensively used to simulate the evolution of the chemical composition at the global scale. This model is used within the successful European MACC Project. It is suggested to carefully consider developing a chemistry module to be included in the EC-Earth model. This module could also be used as the chemical code of the ECMWF IFS system. Regional modeling jointly with RIVM is also conducted as operational air quality forecasts for the Netherlands. The products developed by this division have a direct societal usefulness (UV forecast, air pollution, etc.). The development of Climate Services is helping KNMI communicate information on complex climate issues to decision-makers and other societal actors. The task is challenging because the needs of the stakeholders have to be established and complex knowledge must be tailored so that the information is understandable and usable. Some outstanding examples of tailoring climate research results to specific user needs confirm the need for and the success of the Climate Services Division. A large effort to create a bridge between research and stakeholder’s needs has been made and should be further encouraged. Because of the large demand, the division will have to make priority decisions about the sectors and topics to be covered and about the types of communication products to be developed. Involving specific socio-economic expertise is recommended to ensure a deep understanding of the decision making context of the knowledge users. With respect to climate, air quality and weather research, there has been excellent progress at merging their research activities. Efforts to further promote this should be encouraged including joint research proposals. The CESAR Observatory is a world class observational facility. Its use as a parameterization test bed for both weather and climate models is an excellent example of its value. The generation of climate scenarios for plausible future risk, should be significantly broadened in approach as the current approach assesses only a limited subset of possible future climate conditions. To broaden the approach of estimating plausible changes in climate conditions in the framing of future risk, we recommend a bottom-up, resource-based vulnerability assessment for the key resources of water, food, energy, human health and ecosystem function for the Netherlands. This contextual vulnerability concept requires the determination of the major threats to these resources from climate, but also from other social and environmental issues. After these threats are identified for each resource, then the relative risk from natural- and human-caused climate change (estimated from the global climate model projections, but also the historical, paleo-record and worst case sequences of events) can be compared with other risks in order to adopt the optimal mitigation/adaptation strategy. The global climate model projections, which are only a subset of possible climate conditions in the coming decades, are already being completed elsewhere in the EU and globally, and the limited resources available at KNMI to run global model projections could be used more effectively if used for investigating for example the sensitivity of the climate system to forcing other than only the emission of GHG. This use of a bottom-up resource based assessment of risk to key resources is a way that KNMI can bring a new perspective into the climate debate. It will also permit an outreach to the university community for the expertise needed in the multi-disciplinary contextual vulnerability assessment. One important area for collaboration of the weather and climate research groups is the development of prediction systems and assessing their predictability for extreme rainfall on the regional scale for daily, weekly, seasonal, yearly and decadal time periods. is an example of the implementation of one of our recommendations.